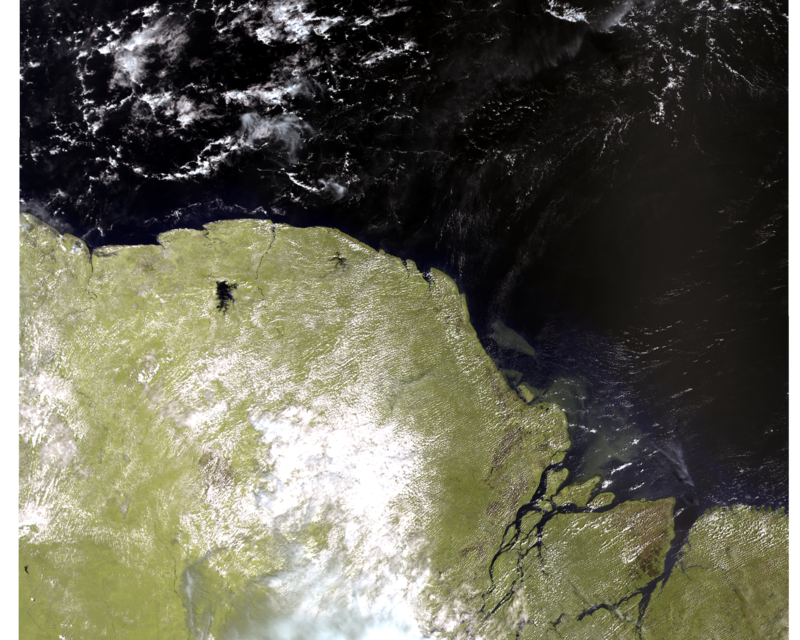 Two different images of Amazon river mouth. The RGBs are processed from two different observations of two different Sentinel 3-A instruments: October 20th per OLCI (RGB bands 10-6-3) and November 20th for SLSTR (RGB 5-3-1 band composition). The Amazon river carries the world’s greatest water data flow (more than any other river) and it is responsible for a fifth of the total volume of water entering the oceans worldwide. 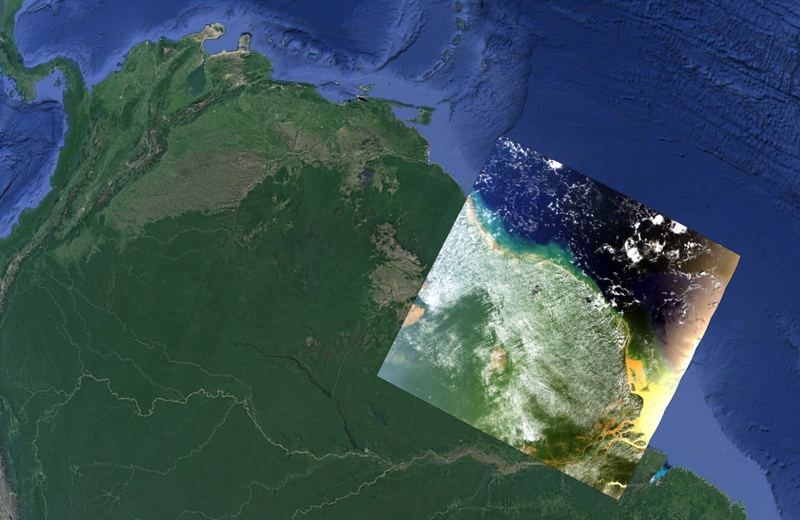 A large amount of slit is brought by the Amazon through its estuary, rapidly carried away by the Atlantic ocean. 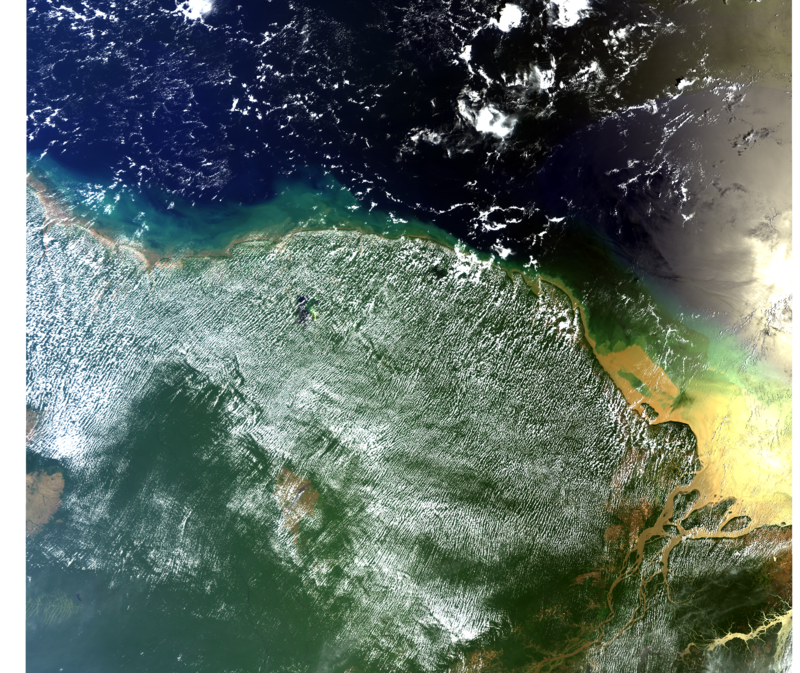 The brighter region on the image right border is due to the ocean surface sunlight reflection (sunglint phenomenon), lower in the other regions because of the small OLCI nadir inclination. Really interesting analysis!! Is it possible to take part to this blog with image processing analysis and cases based on the Sentinels data products? How could I be part of it? Hi Antonio, thank you for your interest! We are considering to have more collaborators, so if you are interested please write to earthstartsbeating@gmail.com. We will answer as soon as possible! Oh this could be really cool!! So should I write to that email address and providing some details about me? I have also seen the last post about a Python application on Sentinel-3 data..there could be nice developments on that too..congrats to everyone! Antonio, just write us so we can answer you with some questions!